Last week Mirsad Mahmutcehajic passed away aged 72. A brigadier of the Republic of Bosnia and Herzegovina’s army, President of the Patriotic League (PL) Assembly of Herzegovina, a Stolac hero who, at the beginning of the aggression, organized a resistance in the town on the Bregava river, and together with his army comrades bravely participated in the resistance till the very end. With honourable salutes and flags in Stolac they said their farewells to their brigadier with a dignifying funeral, which consisted of carrying his coffin in a column that was 3 kilometres long. His humanity and war merits will forever be remembered by all patriots, especially the ones from the 42. mountain brigade “Bregava” of the Republic of Bosnia and Herzegovina’s army. From this world, as they say, he has left with dignity, leaving behind him an imperishable trail in the battle for Bosnia’s survival. Muhamed Taslidza, president of the Patriots League of Herzegovina -Neretva Canton (HNC), reminds us that Mahmutcehajic, as a businessman sacrificed everything in regards to materialistic possessions, just so a resistance could be organized against the aggressor. “All the time he worked for the safety of the people, regardless of their nationality” – Taslidza said, adding that Mahmutcehajic was a commandant of the Municipal Patriotic League’s Headquarters, from which later certain brigades and units were formed. Mirsad Mahmutcehajic was also an assistant for the Chief of logistics of the 4. corpus. Thanks to his strong connections, he carries huge merits for supplying the army of the Republic of Bosnia with weapons for defense. Not even the torturing or horrors discouraged him during his captivity in the concentration camp called “Herceg Bosna” . He was in solitary confinement for 4 months. 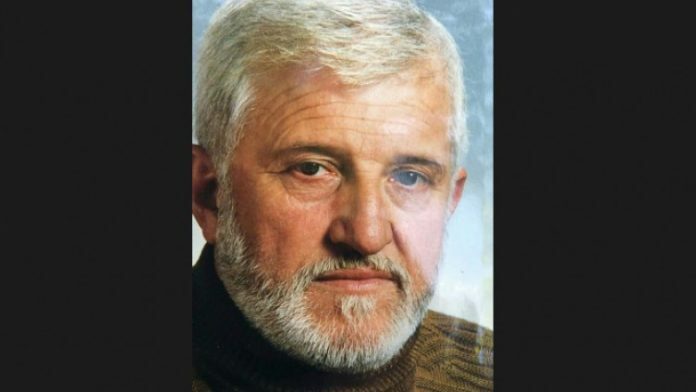 Just after he was released from the concentration camp, he immediately returned to defending his country, and after the war he lead the return of Bosniaks to Stolac. Mirsad Mahmutcehajic, a member of a well-known anti-fascist family, always believed that Bosnia could survive as a country for all its people. His son Demir is proud that his father was a true patriot and a Bosniak that always knew his roots and was on the right side of history. “To everyone who was friends with him, I would say: The grey beard has gone, but a new one is getting grey” – said Demir Mahmutcehajic.